Today I am showing you another post "from the Vault." 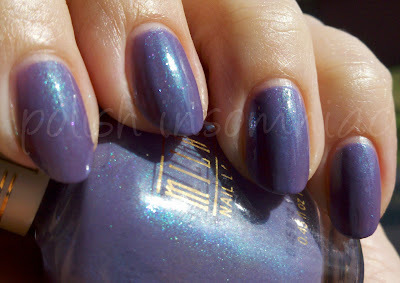 Milani Lavender Twinkle is sadly discontinued shade that is similar to, but not a dupe of, RBL Scrangie. I purchased this shade, after lemming it for many months, on the Bay of Evil. It is a happy, summer color, and makes me smile.